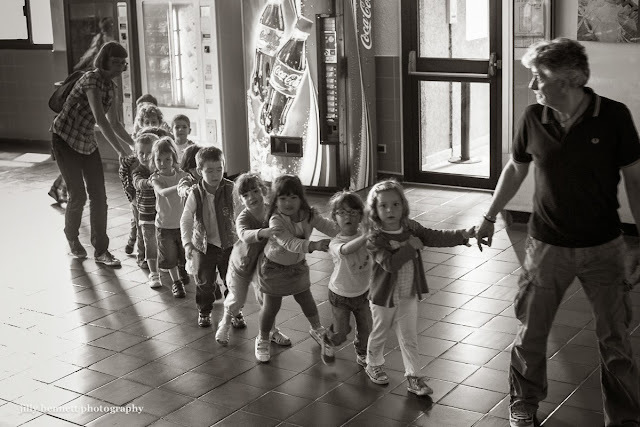 A crocodile of young kids, probably on their way to the Oceanographic museum. I like todays image in b/w. I always think kids in glasses look so cute, like the second little girl. Growing up in Monaco - what a childhood that must be! Assuming you don't end up thinking mega-yachts and F1 cars are the norm, it seems like an enchanted life, complete with a real prince & princess around to liven things up!